It's time to reminisce again! 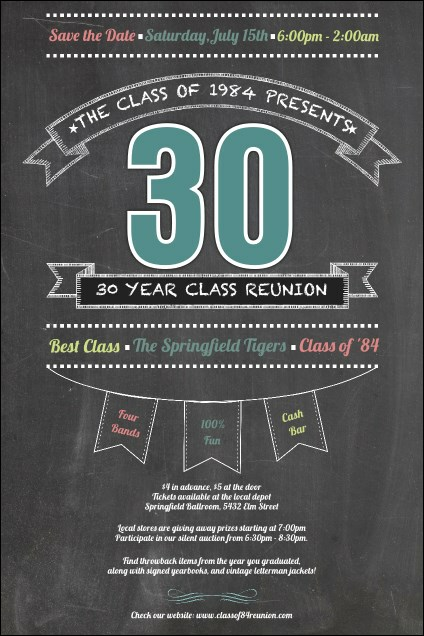 Whether it's been 10, 20, 30 years, or more, promote your big night with the Class Reunion Poster. No need to worry about who's sitting next to who in the cafeteria! Make sure everyone knows the details with this fun template. Poster measures 11.46" x 17.18", appx. Promote your school-themed events with the right poster from TicketPrinting.com.